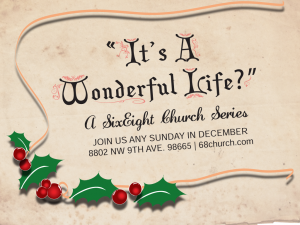 Starting on December 1st, we will be doing a series called “It’s A Wonderful Life?” Each week we will spend some time watching some scenes from the classic movie and talking about this life that we lead. You can if you want to, but you don’t have to. Most of our regular attenders wear jeans and t-shirts. Do I have to be perfect to come to your church? If you are perfect, please don’t come! We wouldn’t want you to mess up all our imperfection! We firmly believe that God only uses imperfect people, so if you’re not perfect that makes you the perfect person (or would that make you the imperfect person) to come to our church? Will I be judged if I come? Absolutely not. We don’t judge by anything. Our God is one who looks at the heart, not how we look on the outside. So, you can look however you want on the outside, and we won’t judge you at all. We’re just happy to have you come! 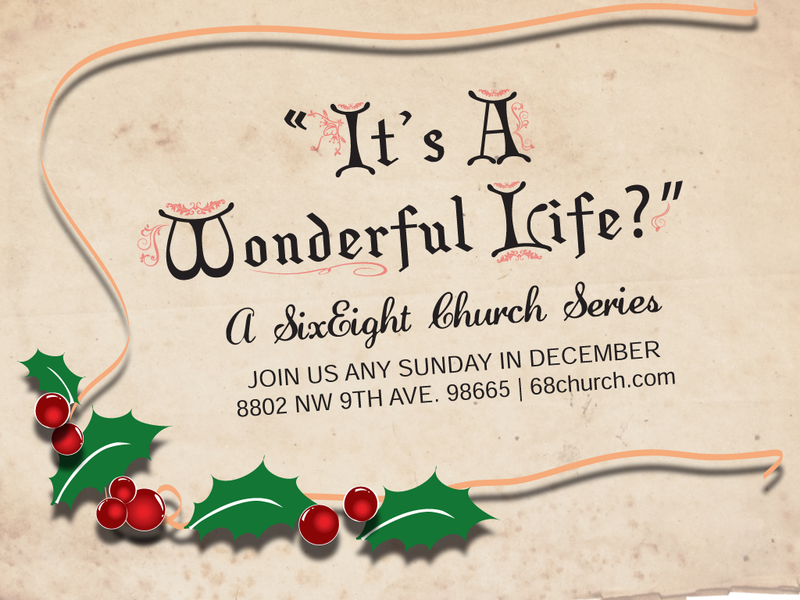 If you have more questions about what it might be like when you come to church at SixEight, check out this page! We are at 8802 NW 9th Ave, Vancouver, WA 98665. Click here for a map. If you have questions about the series, or about our church, please contact us!